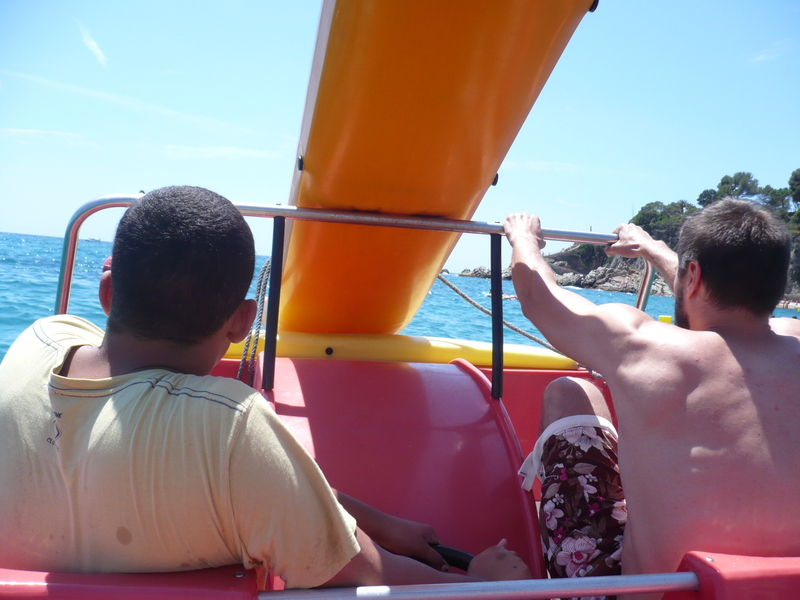 Between the 6 and the 11 of July, two boys cared for at one of Diagrama’s homes travelled to Lloret de Mar (Spain), where they carried out several tourist and cultural activities, as well as leisure and sport ones. This trip allowed them to leave their routine and develop new social skills in a new environment. During those days, they visited the village, getting to know the most emblematic places and interacting with the neighbours, which favoured their cultural enrichment by learning the local history and being in contact with a different language. They ate traditional meals, getting to know new foods and ways of cooking them that contributed to diversify their diet while maintaining healthy and balanced eating habits. In addition, they had the chance to carry out several sports and games on the beach, reinforcing values such as team work and spirit of excellence, always accompanied by their educators, who led the activities at all times. This trip was appraised very positively by Diagrama’s professionals since it allowed them to work on educational and social aspects out of their regular environment, achieving their targets in a satisfying way.